Voluntary Agreements? But, is it really voluntary when one side gives you a gun and asks you to shoot yourself, or they’ll take the gun and do it for you? 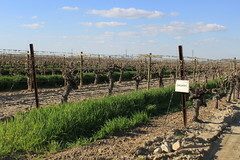 Families Protecting the Valley writes, “The State Water Resources Control Board was all set to adopt a proposal to double the amount of water allowed to flow unimpeded down the rivers to the Sacramento-San Joaquin Delta and out to sea. Then they got a letter from Governor Brown and newly elected Governor Gavin Newsom. They asked the board to delay the vote until December 12th. Since governors appoint the board members it was unlikely they would refuse the offer. But, why the delay? ... ” Continue reading from Families Protecting the Valley here: Voluntary Agreements? Inkstain blog: I think (?) there’s an Arizona Colorado River deal? John Fleck writes, “With the announcement of a meeting this afternoon of Arizona’s Lower Basin Drought Contingency Plan steering committee, it appears we have the general shape of an agreement to settle the thorny issue of how to reduce Arizona’s use of Colorado River water. Not a lot of details yet, but it appears that: Pinal County farmers will get 595,000 acre feet of mitigation water over the next three years; Pinal County farmers will get federal help to drill a bunch of wells to advance their efforts to replace Colorado River water with groundwater; The Gila River Indian Community is on board, and will provide some of the replacement water needed to keep Lake Mead whole; The Colorado River Indian Tribes may be also providing water to help prop up Mead; The cities seem to be on board ... ” To continue reading at the Inkstain blog, click here: I think (?) there’s an Arizona Colorado River deal? SEE ALSO: I think (?) there’s an Arizona Colorado River deal? Episode II and Another Arizona Colorado River Drought Contingency Plan sticking point?